Make your own pottery | pottery workshop "Aoi-gama"
You can make your own pottery by hand such as a rice bowl, tea cup or plate. An electric potter’s wheel is also available with an additional charge. We can draw and carve pictures, patterns on your item as you like. As you complete your item by yourself from start to finish, it would be your original artifact work. If it is the very first time for you, please don’t worry. Our staff will sincerely help you to completion. 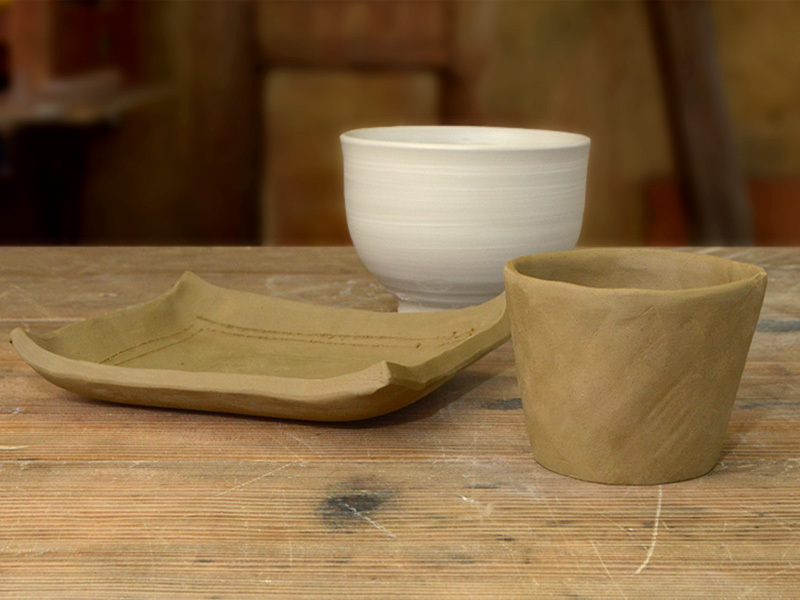 It usually takes about two hours to make a basic item such as tea cup, small plate or rice bowl. Also, you can enjoy drawing pictures and patterns on an unglazed item of potter using asbolite (blue color paint) and ferrous pigment (black color paint), which usually takes about one hour. Basically you can make whatever you like. The following price list is indicative. Please make a reservation by the day before you wish to come. If you have any inquiries, please feel free to contact us. Our staff are unable to speak any foreign languages. We appreciate your understanding and cooperation.